As a full service professional cleaning contractor, Superb Pressure Washing & Restoration delivers professional expertise and individual service through our highly skilled professional technicians. This is a responsibility that we take very seriously. 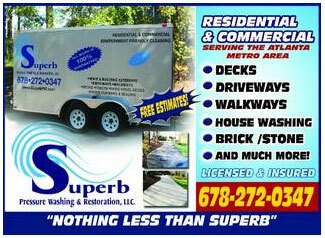 Superb Pressure Washing & Restoration is in business to help your business succeed. We realize that a clean place of business projects a professional image. Our business is to help your business create great first impressions for new customers while renewing confidence in your existing clientele. Curb appeal is the most powerful first impression. 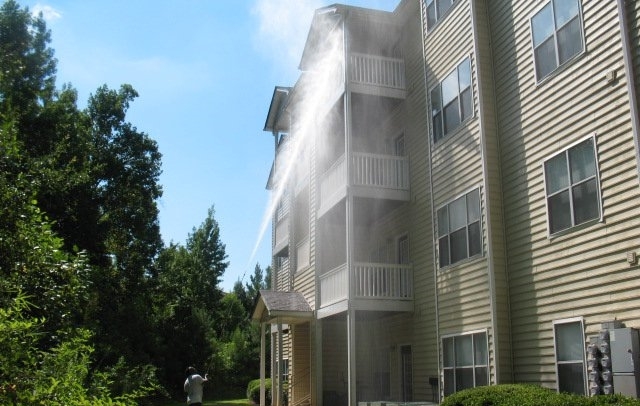 For this reason, we offer the following services to enhance your property's attractiveness. For immediate assistance or to schedule a consultation, call us at 678.272.0347, fill out our quote form or visit our contact us page.